Is Red Wine Good Or Bad For Health? What Is Red Wine And How Is Red Wine Made? Red wine is a popular beverage that is often drunk for informal parties, special events and anniversaries. However, not many people know how red wine is made. To make red wine, dark-colored grapes are harvested, crushed, and fermented. Red wine has many types, depending on its age, color, and taste. Cabernet Sauvignon, Shiraz, Merlot, Zinfandel, and Pinot noir are common varieties of the red wine. Most types of the red wine contain 12 to 15% percent of alcohol. Some studies proved that several health and beauty benefits of red wine are due to the role of antioxidants present in red wine. Unlike alcohol and other types of wine, drinking red wine is believed to benefit the health and beauty. However, it remains debated, and more scientific studies should be conducted to prove the health and beauty benefits of red wine. Many people think that a glass of the red wine should be drunk daily for better health and great longevity while others find red wine overrated. According to recent repeated research and studies, red wine can help reduce the risk of numerous diseases, including blood pressure, heart disease if consumed in moderation. However, excessive intake can lead to several health problems. In this article, we would like to introduce more information related to red wine and share its several health and beauty benefits with you. Do you want to know more about amazing benefits of red wine for health and beauty? 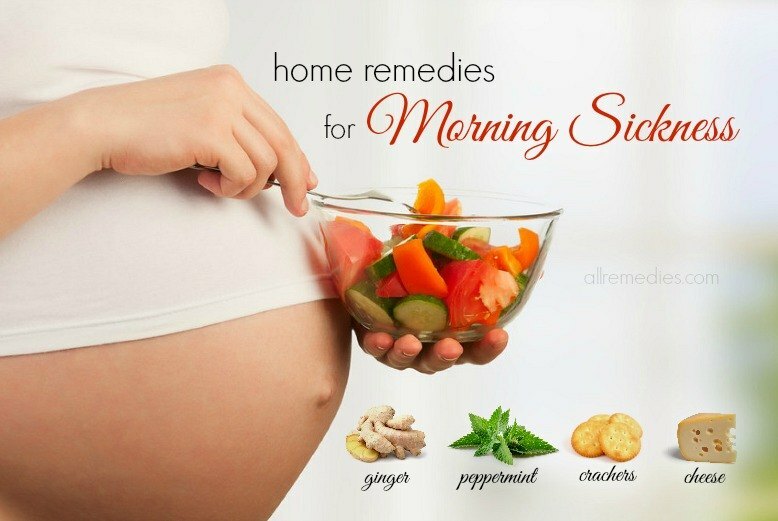 The article on AllRemedies can give you detailed and useful information. What Are The Benefits Of Red Wine For Health And Beauty? Red wine is an excellent source of many antioxidants such as catechin, resveratrol, proanthocyanidins, and epicatechin. Those antioxidants like proanthocyanidins and resveratrol contribute many health benefits of red wine. For instance, proanthocyanidins can prevent oxidative damage. 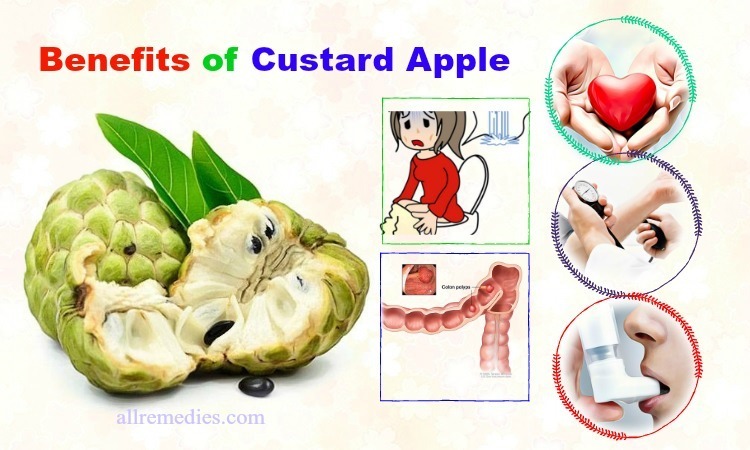 Moreover, it helps lower the risk of certain cancers and heart disease. Red wine is loaded with resveratrol that speeds up the healing process for injury or damage. Like proanthocyanidins, resveratrol is also effective in preventing cancer and heart disease. Furthermore, it cures blood clotting and inflammation. In some animal studies, scientists found out that resveratrol makes animals live longer. However, to figure out whether red wine increases the human’s longevity or not, it requires more studies. Resveratrol is low in red wine. The resveratrol in several bottles of the red wine is equivalent to the amount scientists used in the animal studies. However, it is not recommended for drinking too much red wine. If you want to take just resveratrol in red wine, it is advisable for you to take resveratrol supplement. However, before taking this supplement, you should consult your doctor carefully. Moderate consumption of the red wine is believed to reduce the risk of stroke and heart disease. Several recent studies also found out the close relationship between regular consumption of the red wine and the risk of heart disease. Therefore, in the article about the magnificent benefits of red wine for health and beauty, we would like to introduce it. Consuming about 150 ml (5 oz) red wine daily can reduce 32% the risk of stroke and heart disease. However, if you drink red wine excessively, it may affect your heart health and lead to heart problems. If drinking in moderation, red wine can help reduce the “bad” LDL cholesterol by up to 50% and increase the “good” HDL cholesterol in the blood. The high level of LDL cholesterol in the blood may cause oxidative damage and double the risk of heart disease. 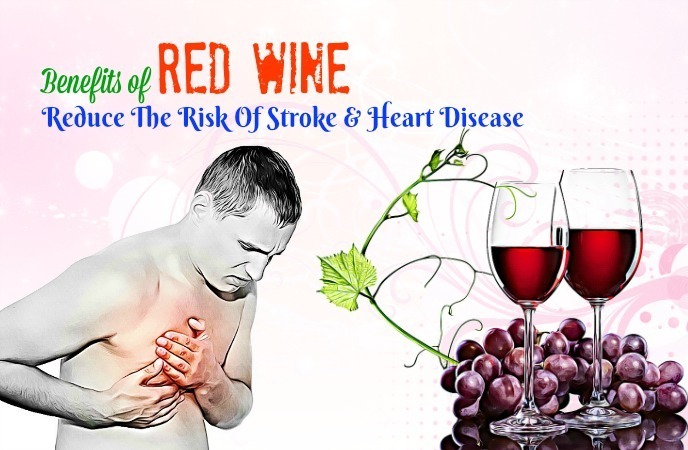 The elderly and middle-aged men are at the high risk of heart disease; therefore, they should drink 1 to 3 glasses of the red wine a day 3 or 4 days a week to prevent stroke and heart disease. Because red wine can increase HDL cholesterol that plays an important role in removing plaques from the arteries, red wine may be beneficial in reducing blood pressure. It is also one of the health benefits of red wine. Antioxidants present in red wine is beneficial in treating blood clots. Nowadays, scientists also found out that drinking red wine can stop inflammation. The anti-inflammatory property is one of the benefits of red wine for health. Inflammation is a major cause of several chronic diseases. Scientists found out that resveratrol contributes to the anti-inflammatory effect of the red wine. Moreover, they showed that resveratrol inhibits the formation of two enzymes such as phospholipase D and sphingosine kinase that trigger inflammatory diseases like sepsis. Resveratrol is present in the skin of grapes. Different types of wine have different levels of resveratrol. Red wine contains more resveratrol than white wine. Do you often experience stress and anxiety in your life? It is not surprising when stress is one part of the life. Your school, family, job, and relationship are full of responsibilities and things that add stress to your life. Fortunately, you can slow down, relax and wind down at the end of the day with a glass of the red wine, the healthy and tasty beverage. A glass of this red wine should be considered as an excellent stress relief. It is one of the health benefits of red wine you should know. Red wine contains alcohol that calms the nerves and soothes the central nervous system. Moreover, alcohol possesses sedating effect. It is a reason why a glass of the red wine can relax your mind and give you a deep sleep. It is recommended drinking a single glass of this red wine during the dinner for a calming effect. However, excessive intake of alcohol or red wine before bedtime has an adverse effect on sleep and relaxation. It interferes with natural circadian rhythms of the body. Although no one can doubt that red wine can make people fall into sleep easily and fast, patients with GERD or gastric reflux disease should avoid drinking red wine, especially before bedtime. This is because a glass of the red wine may worsen the condition of GERD and gastric reflux disease. To live a healthy life, you should manage stress. It is believed that stress reduction is necessary for a happy, balanced life. To sleep deeply at night and have enough energy during the next day, you should relieve stress and anxiety. Stress reduction can help relieve irritation, anger and increase cognitive function, intuition, and memory. For significant stress reduction, think of a glass of the red wine. Drinking a glass of the red wine daily can help your body fight against diseases by boosting the immune system. According to laboratory research, red wine contains a combination of substances that can stimulate the activity of good bacteria. Two compounds called resveratrol and pterostilbene are beneficial in enhancing the CAMP gene that can fight against bacterial infection. Most studies and research are conducted in rats or mice. More research in human is needed. Like other alcoholic drink, red wine should be drunk in moderation. Asked about benefits of red wine, many people claimed that it helps weight loss. Unlike other alcoholic beverages, drinking red wine does not cause any serious health problems. Red wine is responsible for the “French paradox.” The French people said that although their diet includes high-fat foods, a glass of the red wine per day can reduce the risk of cardiovascular disease. Red wine is rich in phytochemicals, and it contains iron, potassium, B vitamins, and many essential micro-nutrients. A 5-ounce serving of the red wine can provide your body with 125 calories. Therefore, less evidence showed that red wine could aid in weight loss. However, drinking a red wine during the meal can help you to keep a healthy weight in long-term. It is one of the benefits of the red wine. According to a 2012 study for the Women’s Health Initiative, women who drink red wine in moderation are more likely to keep the healthy weight than nondrinkers. When we age, our weight increases or decreases uncontrollably. Therefore, it is recommended drinking a glass of the red wine during the meal. If you want to lose weight, you should exercise regularly, increase physical activities eat a healthy diet that is rich in fiber, essential minerals, and vitamins. One of the tips for weight loss is to drink a glass of water about half an hour before each meal. That can help you consume fewer calories when you eat. 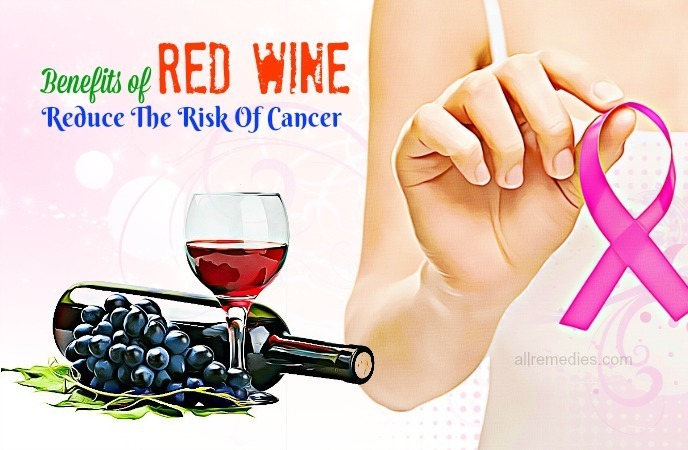 Searching for the amazing benefits of red wine for health and beauty, we should mention that drinking a glass of this red wine daily can help reduce the risk of cancer. According to several recent studies and research, people who drink a glass of the red wine daily are at the less risk of bowel cancer than nondrinkers and people who drink spirits or beer. This benefit of the red wine may be due to the rich presence of antioxidant chemicals known as flavonoids in red wine. 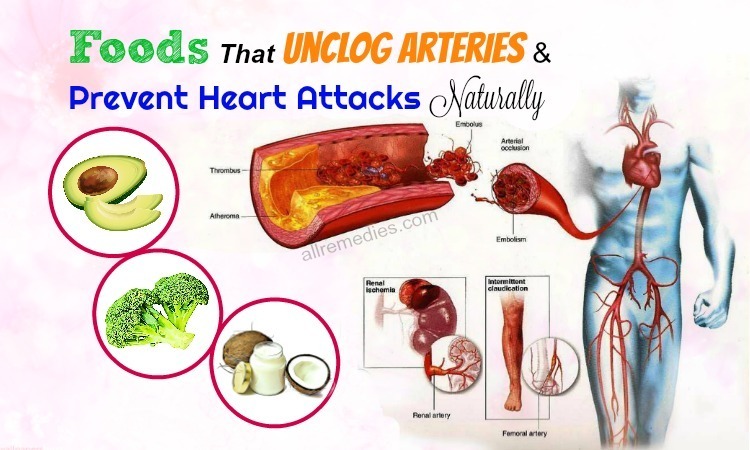 These antioxidant chemicals also play the important role in preventing arteries from clogging up. Other studies found out that a glass of the red wine can decrease the risk of several certain cancers, including basal cell, colon, prostate and ovary cancers. However, you should consume red wine moderately. Excessive consumption can lead to cancer. Alzheimer’s disease is the problem related to memory, behavior, and thinking. Sufferers from Alzheimer’s disease may experience intellectual abilities and memory loss that interfere with daily activities. This disease occurs when people are in the 40s or 50s. After that, the symptoms may get worse over time. Do you want to lower the risk of Alzheimer’s disease or prevent its development? Think of a glass of the red wine. However, it should be consumed in moderation. Overconsumption may lead to brain’s damage and other health problems. Moderate consumption means that no more than one glass of the red wine for women and two glasses for men. According to several studies, moderate consumption of the red wine reduce 23 percent the risk of Alzheimer’s disease. Red wine has more benefits than any types of alcoholic drinks. However, people who drink more than three to five glass of wine daily are more likely to suffer from dementia and memory impairment than moderate drinkers. Doctors said that alcohol abuse could lead to some damages to the liver, brain, and other important organs. You should start drinking red wine moderately to prevent Alzheimer’s disease and dementia. However, red wine should not be drunk when you are in adolescence, or before driving. Pregnant women should not drink red wine too. The possible reasons why red wine reduces the risk of Alzheimer’s disease and dementia have not discovered. However, it is believed that it is due to the anti-inflammatory properties of the red wine. There is a relationship between inflammation and strokes, heart disease and other ills. Moreover, inflammation also increases the risk of Alzheimer’s disease. Red wine is included in the traditional Mediterranean diet in which you eat foods like fruits, vegetables, fish and whole grain. The traditional Mediterranean are proved to increase cognitive function, keep a good memory and prevent Alzheimer’s disease. Parkinson’s disease refers to the degeneration of central nervous system. The cause of this disease remains unknown. However, it is believed that environmental and genetic mutations may be triggers. According to some studies, resveratrol found in grapes and red wine is beneficial in reducing the brain damage and alleviate the symptoms of Parkinson’s disease. Although Parkinson’s disease has no cure, some natural treatments and home remedies can inhibit the progression of this degenerative central nervous system disorder. Patients with Parkinson’s disease who experience symptoms such as walking difficulties, tremors, the loss of facial expressions, and memory loss should drink a glass of the red wine a day. Red wine can help control the symptoms of Parkinson’s disease because of resveratrol, a compound found in grapes and red wine. A 2008 study on rats found out that resveratrol can protect nerves and cells and reduce brain damage. According to a 2010 study that was published in “Brain Research,” resveratrol can improve performance and motor coordination. However, patients with Parkinson’s disease should consult a doctor before taking resveratrol supplement or consuming red wine. You can suffer from life-threatening issues if you drink red wine or take resveratrol supplement with high doses of medications like MOA-B inhibitors or monoamine oxidase inhibitors used for treating Parkinson’s disease. That can lead to fatal high blood pressure and severe headache. Arthritis refers to a joint disease or joint pain. Arthritis has more than 100 different types. This disease can affect anyone of all ages, races, and sexes. People who suffer from arthritis need to follow a strict diet and eat healthy foods to control the joint pain. There are several amazing beverages that can help you soothe the joint pain and treat arthritis. Red wine should be mentioned. That is one of the benefits of red wine for health. Red wine contains resveratrol that has anti-inflammatory properties. Studies have found out that moderate consumption of the red wine can help reduce the risk of arthritis. Moreover, red wine is loaded with manganese that can relieve the joint pain. Other beverages that can soothe joint pain include tea, coffee, milk, vitamin C rich juices, and water. If you get diagnosed with arthritis, you should not consume soda. This is because soda is full of aspartame, sugar and phosphoric acid that affect the calcium’s absorption in the body. Nowadays there are more than one reasons for women to consider drinking red wine. Red wine with numerous health benefits has been included in a healthy lifestyle. According to experts, two glasses of the red wine daily can help reduce the uncomfortable symptoms of the menopause. To prevent night sweats and hot flushes, you should follow a healthy low-fat diet with various vegetables and fruits and drink a glass of the red wine daily. For women who experience the menopause, red wine can help can boost the circulation. Acid reflux occurs when acidic gastric in the stomach is flushed into the esophagus due to bad lifestyle and unhealthy diet. 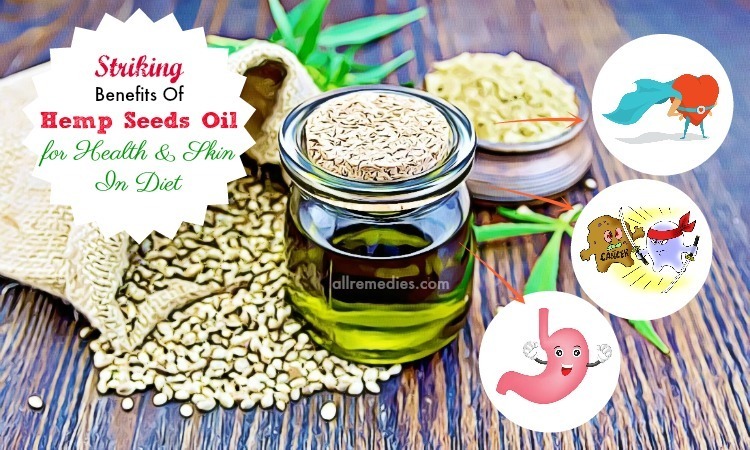 The symptoms of acid reflux include heartburn, regurgitation, bloating, burping, bloody vomiting or bloody stools, hiccups, dysphagia, weight loss, nausea, dry cough, wheezing, chronic sore throat, and hoarseness. The good news for red wine lovers is that red wine is also a remedy for acid reflux. Therefore, in the article about the wonderful benefits of red wine, we would like to mention it. A glass of this red wine can help ease the discomfort and symptoms of acid reflux. However, the key is to drink red wine in moderation. Some people with acid reflux find drinking red wine ineffective. To some people, a glass of the red wine worsens the condition of acid reflux. If you get diagnosed with acid reflux and want to drink red wine, it is important for you to consult your doctor carefully. A glass of the red wine is effective in reducing insulin resistance. It is one of the benefits of red wine for health. In the body, insulin is required to remove glucose from the blood. Scientists have found the relationship between red wine intake and insulin consumption. Insulin resistance is a health condition that occurs when liver, muscle, and fat cells do not respond well to insulin. 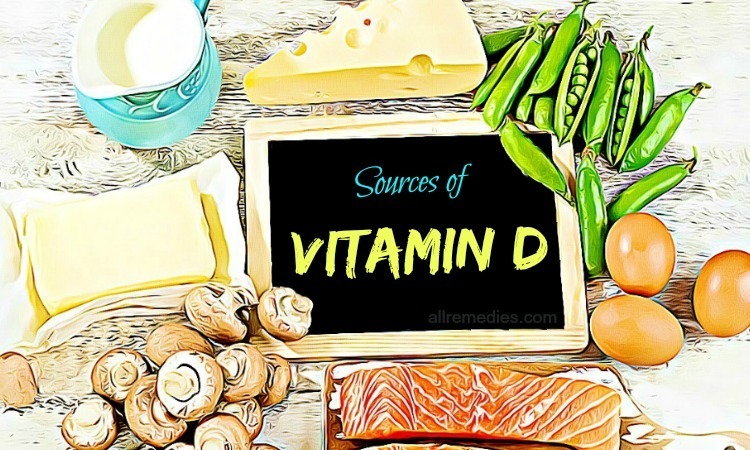 According to the National Institute of Diabetes and Digestive and Kidney Disorders, insulin resistance may increase the glucose levels in the blood. If not treated, insulin resistance may lead to a risk of type 2 diabetes, kidney dysfunction, and cardiovascular disease, loss of vision, and nerve damage. When you drink red wine, your liver breaks down and metabolize the red wine. 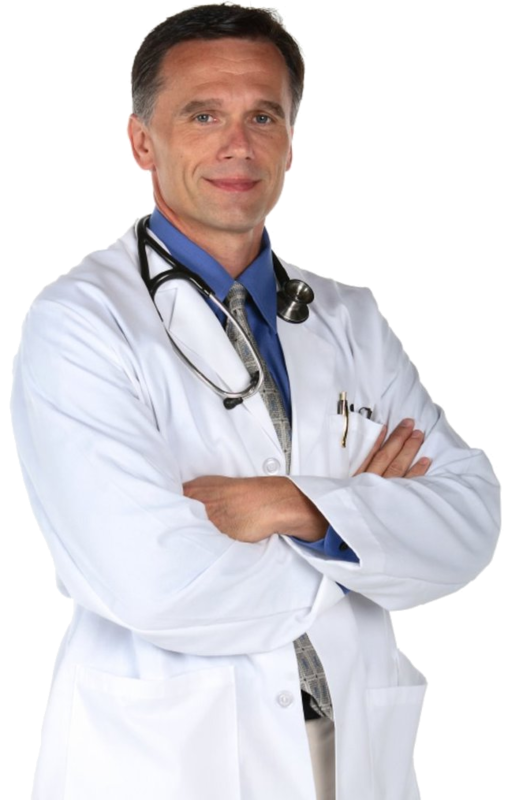 Because of that busy process, the liver is responsible, the blood glucose levels reduce. But it is true only when you consume the red wine in moderation. Excess intake of this red wine can increase insulin resistance. People who drink too much red wine often face obesity or overweight. This is because too much red wine can add more calories to your daily diet. The body fat may reduce the sensitivity of the body to insulin, leading to insulin resistance. Not only the red wine intake but also other factors such as diet, age, and activity level influence insulin resistance. To prevent insulin resistance, you need a healthy diet, regular exercise, and nutritious diet. According to the American Heart Association, people with diabetes face have more likely to suffer from heart disease than normal people. Diabetes is a common health problem in the United States. Over 29 million people get diagnosed with diabetes. Type 2 diabetes occurs when not enough insulin is produced in the body. Patients with diabetes should control the sugar intake, use medications for diabetes, eat a healthy diet and exercise regularly to ease the symptoms of diabetes and prevent its development. If you get diagnosed with diabetes, you should avoid several certain foods such as starches, bread, and sweets. A carbohydrate found in these foods can increase blood sugar levels. Fortunately, a glass of the red wine is beneficial in reducing blood sugar for about 14 hours. Drinking too much wine may make the blood sugar reach dangerously low levels. 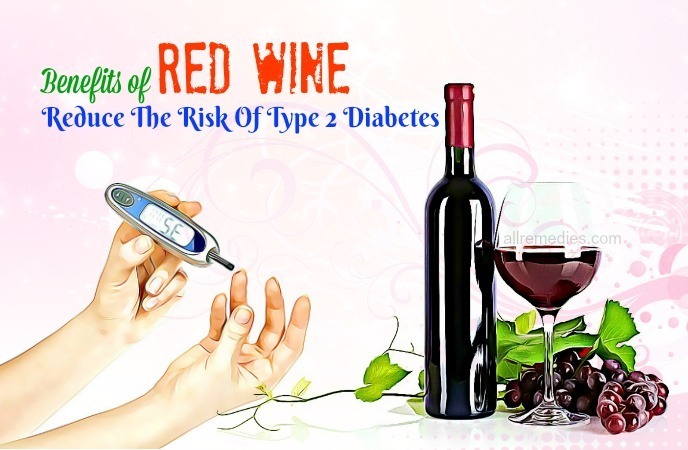 Therefore, it is important for you to check your blood sugar levels before and after you drink wine. A study found out that moderate red wine intake can help lower the risk of heart disease and stroke in patients with type 2 diabetes. Red wine is rich in antioxidants; therefore, red wine can give you numerous health benefits if consumed moderately. Red wine contains a substance known as melatonin. Therefore, red wine is considered as a wonderful secret for a deep and peaceful sleep. Melatonin is responsible for stimulating your body clock and keeping your body healthy. If you have the sleep problem, you should drink a glass of this red wine before bedtime to have a peaceful sleep. We just mentioned that drinking a glass of the red wine can reduce cholesterol levels in your body and lower the risk of heart disease, stroke, and dementia as benefits of red wine. Recent research found out that red wine is also beneficial in beating the common cold. Red wine is high in antioxidants that can boost the immune system and help the body fight against viruses. According to a study, 14 glasses of the red wine per week can reduce 40 percent the risk of suffering a cold. According to the report published in the latest American Journal of Epidemiology, red wine contains the stronger protection effects than white wine. Red wine is rich in flavonoids, antioxidants, which remove harmful chemicals. Moreover, resveratrol found in red wine is beneficial in treating inflammation in the body. A glass of this red wine can strengthen the immune system and help your body fight infection like flu and cold. If you are experiencing the uncomfortable symptoms of the common cold, you should practice daily exercise and drink a red wine glass to fasten the recovery process. It is recommended walking for 15 to 30 minutes a day to prevent several viral infections such as a common cold. Drinking a glass of the red wine on a daily basis can help lengthen the lifespan and decrease mortality. Red wine is one of the powerful natural substances that reduce mortality and improve your overall health. It is also one of the health benefits of red wine that we would like to introduce to you in this article. However, it is important for you to drink red wine on a regular basis in moderation. Our skin is often exposed to some harmful factors such as environment, weather, pollution, sunlight, or chemicals in the skin care products. Moreover, unhealthy lifestyle and unbalanced diet may make the skin look dull and dry. 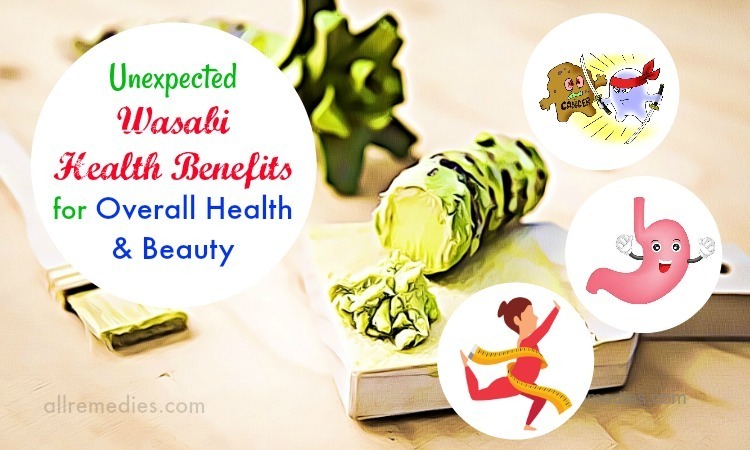 Everyone wants to find the magical ways on how to make skin healthy and glowing. A glass of the red wine daily can do that, and it is one of the beneficial benefits of red wine that we would like to introduce to you in this article. This is because red wine is a great source of antioxidants. The antioxidants play an important role in protecting the skin from harmful factors and chemicals. There are many reasons for people to add a glass of the red wine in their lifestyle. Red wine also has some benefits for the teeth. In the article about the benefits of red wine for health and beauty, we would like to mention that red wine can inhibit the development of cavities. According to new research, grape seed extract is effective in protecting the teeth against cavities. Because of these studies and research, the scientists can find the new natural products that can help treat dental diseases. According to Maria Victoria Moreno-Arribas and her colleagues from the Spanish National Research Council, dental diseases are common conditions in the world. They add that about 60 to 90 percent of world’s population is suffering from gum disease, cavities, and tooth loss. Red wine can kill the bacteria causing dental diseases. If the bacteria grow uncontrollably in the mouth, it can create acid and plague that damage your teeth. According to research, red wine, and grape seed extract can inhibit the growth of bacteria and keep cavities at bay. 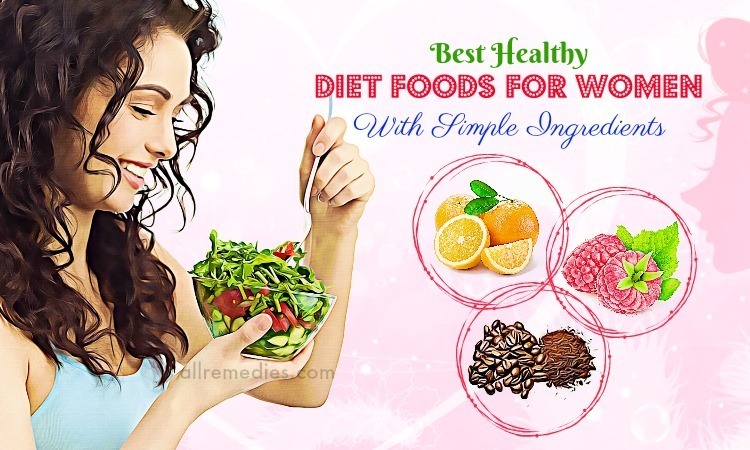 Therefore, looking for the effective home remedies for cavities, gum disease, toothache, and other dental diseases, you should not ignore red wine. We just mentioned health benefits of red wine, but red wine is also a remedy for blemishes. You can drink a glass of the red wine daily to get a glowing and flawless skin. Moreover, red wine can be applied topically. The topical uses of this red wine for skin become more popular nowadays. Red wine contains therapeutic properties that can refresh and rejuvenate the skin. Here is the instruction on how to use red wine for removing blemishes. Some fruits may cause allergic reaction or skin irritation if you have sensitive skin. For people who have the sensitive skin, the combination of the red wine and rose water is recommended. Surprisingly, nowadays people have found out many beauty benefits of red wine. In beauty therapy, red wine can be used to make the effective exfoliant or scrub because it can get rid of dead skin cells. Moreover, regular application of this red wine also boosts the blood circulation, making your skin healthy and glowing. This treatment is effective if you apply it two or three times a week. Red wine is beneficial in slowing down the aging process. It is one of the beauty benefits of red wine we would like to share with you in this article. Red wine is loaded with antioxidants such as resveratrol, flavonoids, and tannin that can help beating free radicals. Regular application of the red wine can help boost the production of collagen and prevent the appearance of wrinkles and fine lines. Due to therapeutic effects, red wine can rejuvenate the skin and make it look healthy. It is recommended applying this treatment twice a week for a satisfactory result. Red wine not only prevents wrinkles but also reduce acne. Not many people know this benefits of red wine for the skin. Acne is a common skin condition and it is a nightmare for many people. 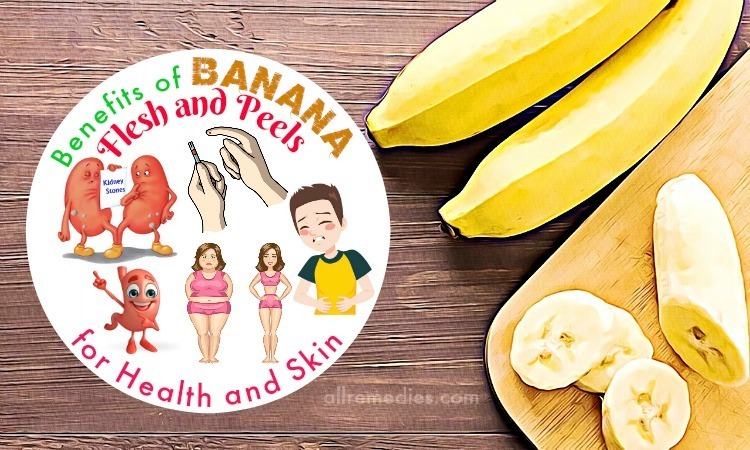 It can be caused by many factors including dirt clogged in skin pores, excessive production of oil, weather, sleepiness, unhealthy diet, hormonal changes, and improper skin care routine. To treat and prevent acne, people look for expensive chemical-based products. It is believed that alpha hydroxyl acid (AHA) in some skin care products is effective in fighting acne and pimples. Despite the expensive cost, not many products can work. The good news for the fans of the red wine is that red wine can reduce acne. Red wine contains anti-inflammatory properties and anti-bacterial effects. It is recommended applying red wine solution regularly to keep further breakout. You should repeat this red wine solution frequently until acne and pimples disappear. Every woman wants to have a glowing, beautiful, and rosy skin. However, there are some factors that can make your skin look dull. Some scientist found that drinking a glass of the red wine daily can make the skin healthy and rosy. 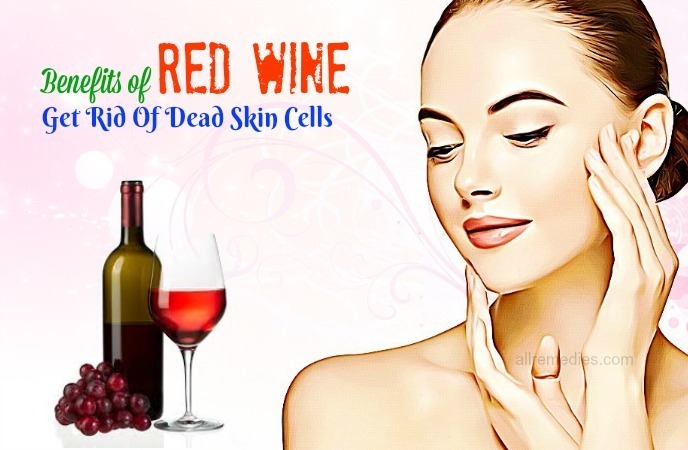 Furthermore, topical application of this red wine can remove dead skin cells and boost the production of new cells. 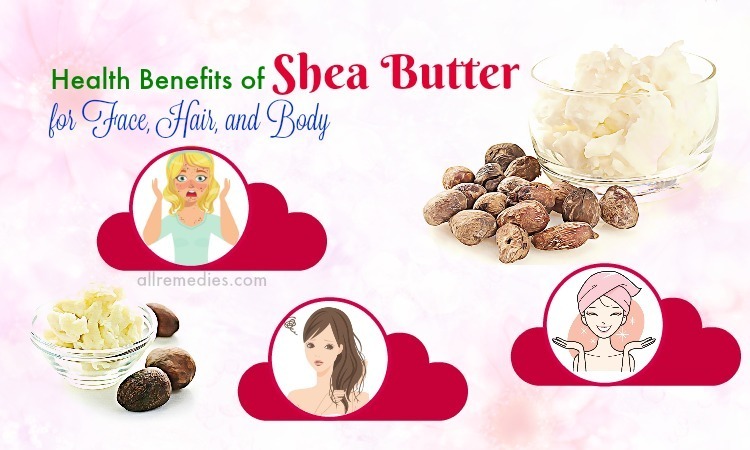 It makes the skin supple and soft by hydrating your skin. The polyphenols found in red wine play the important role in inhibiting cell oxidation. Most people like the fair and bright skin. However, exposure to sunlight may leave skin tan although you wear sunscreen and protect your skin with clothes. Unfortunately, there are several home remedies that can help lighten your skin and remove tan. One of these is red wine. It is also one of the beauty benefits of red wine that we would like to introduce to you in this article. Red wine is a great source of amino acid that can help stimulate skin renewal and protect the skin from the harmful sun rays. If you want to prevent sun tanning, you should apply red wine regularly. Red wine contains the antioxidant properties that can protect the skin and prevent sun damage. Due to the anti-inflammatory effects, red wine can soothe the sunburn. You just need to pour some red wine into a cotton pad and then dab it on your skin. Leave it for a few minutes before rinsing it off with lukewarm water. Red wine is considered as an excellent skin toner. 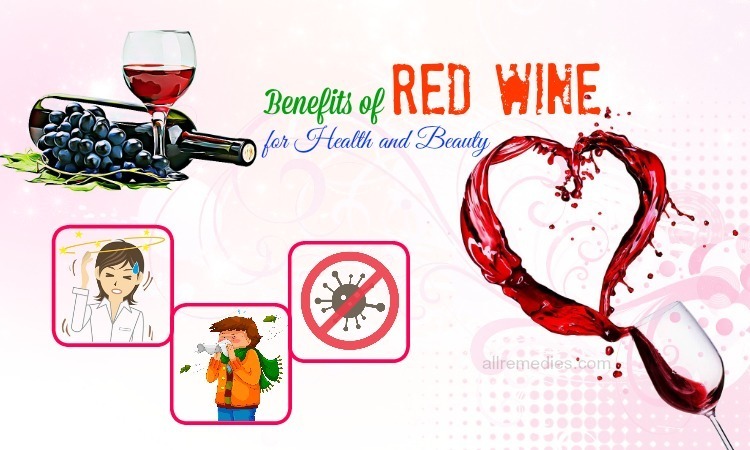 Looking for the benefits of red wine for beauty, you should not ignore that. Application of this red wine can help minimize skin pores, remove the grime and dust, and tighten skin cells. Red wine also contains the AHA that help retain the natural moisture and maintain the PH balance of your skin. If you want to use red wine as an excellent skin toner, you should do this treatment before bedtime. Red wine contains AHA. The use of the red wine is believed to lighten your skin tone. It is the good news for someone who likes a fair and bright skin. In this treatment, if you do not have any egg, you can mix red wine and honey with yogurt instead. It is recommended repeating this treatment two or three times a week if you want to get a desirable result. We just mentioned the benefits of red wine for the skin. Furthermore, red wine can be used for your hair. Hair fall or hair loss is one of common hair problem. You may experience hair loss at some points during your life because of some factors. 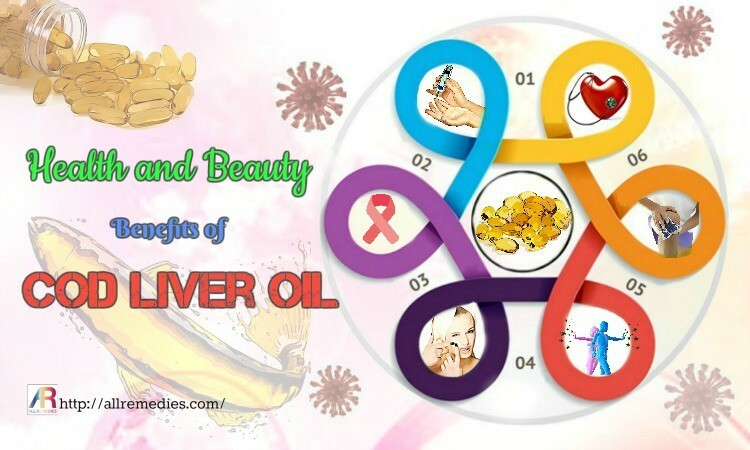 Hair fall or hair loss may be caused by physical stress, pregnancy, vitamins, and minerals deficiency, hormonal unbalance, emotional stress, anemia, dramatic weight loss, aging and hair styling. Fortunately, you may apply some effective home remedies for hair loss without pouring too much money into hair care products. One of the effective home remedies is red wine. Red wine is beneficial in preventing hair loss and boosting hair growth. Moreover, red wine is a great source of resveratrol that can stop inflammation and get rid of dead cells on the scalp. The dead cells may result in hair loss if they are not removed. Moreover, the bioflavonoids present in red wine can help stimulate keratin growth. Keratin plays the important role in making hair follicle stronger. Sunlight exposure can lead to hair damage. The UV rays are harmful to your hair. Fortunately, red wine can protect your hair from UV rays. This is because red wine is rich in antioxidants that can create a protective layer on your scalp. Repeat this treatment frequently to get a satisfactory result. Many women in the world want to have voluminous, long and lustrous hair. They often devote a lot of time and money to hair care. However, small changes in the lifestyle can make your hair healthy. Drinking a red wine glass can promote hair growth and strengthen hair root by increasing blood circulation. Poor blood circulation can lead to itchiness and dandruff. Moreover, red wine can be used topically to add volume to your hair. It is also one of the benefits of red wine for the hair we would like to introduce in this article. Of course, repeat this treatment frequently to get a satisfactory result. These are 30 benefits of red wine for health and beauty that we would like to introduce to you in this article. Do you like drinking red wine? We hope that after reading the informative article, you can become a fan of the red wine. If you have any questions to ask, you should raise your voice by leaving your comments below. We will answer as soon as we can. Thank for your reading.